JUST SEND IT. Kaylynn Hager-Moctezuma is the daughter of Steve and Heather Moctezuma. Kaylynn is also the sister to Lennex and Venessa. Kaylynn was born on February 10, 2001. Her favorite memory of high school is when her classmate Madisen Hanson wrecked the equipment cart into the ticket booth outside of the football stadium while getting ready for a football game. “Better oops than what if” is a quote that Kaylynn lives by today, and has inspired her over the years. Kaylynn has had many leadership roles throughout high school. She is the class secretary as well as the art club secretary. 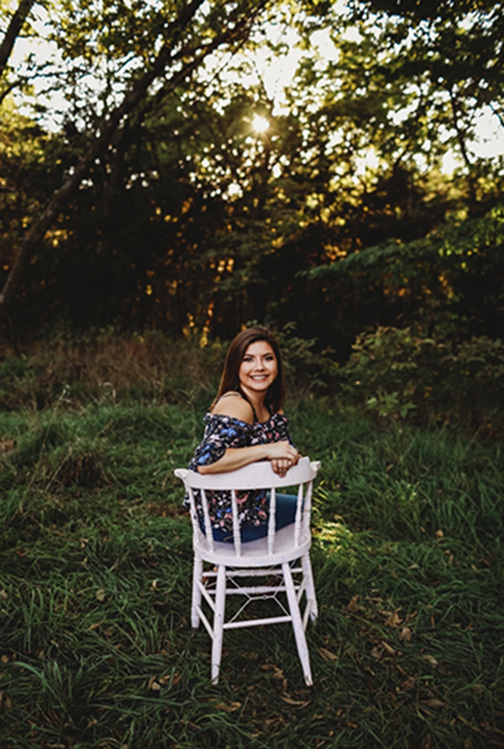 Although Kaylynn has been involved in Football, Golf, FCCLA, FFA, KAY, Art Club, and the All School Play throughout high school, she has still managed to keep her grades up and be a positive influence to all her peers. Kaylynn’s parents have played a big part in her success with school, “because they push me to do my personal best.” They also taught her that it is okay to not stress herself out and worry as long as she did the best that she could. Kaylynn will leave a huge impact on Valley Heights as she continues to help others after high school. Kaylynn plans to continue impacting everybody around her by becoming a social worker. Her plans after high school are attend to college at Fort Hays State University.